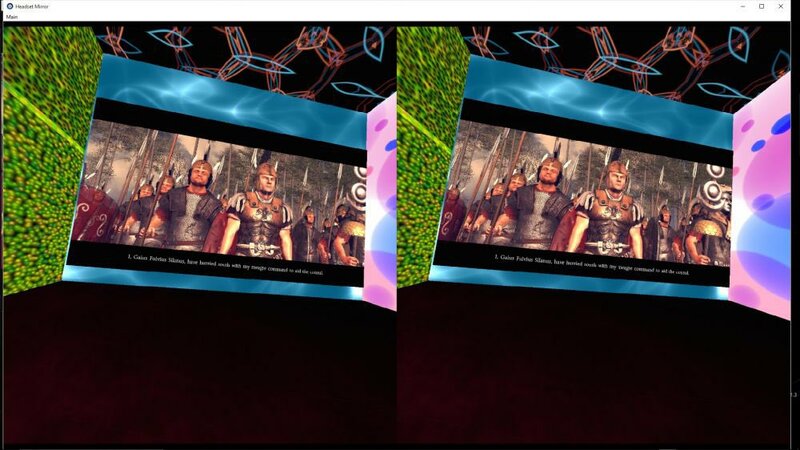 The #1 Stereoscopic 3D Gaming (VR Gaming, 3D Gaming) and VR Resource | Meant to be Seen - Vireio Perception 4.0 Alpha 1 is OUT! DirectX 11 introduced new headaches with the user interface, and limited our ability to resize it compared to what we had available to us with earlier Bethesda Softworks titles like The Elder Scrolls V: Skyrim and Fallout 3 which ran on DirectX 9. We have ideas on how to get around this problem, but they will take time. For now, some hotkeys were created that zoom in and out so viewers can quickly see the whole HUD when needed. Everyone working on this does so on a volunteer basis. Factor in a day job, and there are only so many hours in the day. We have dedicated discussion forums in MTBS so the developers can help diagnose issues and release bug-free drivers. While there are other excited communities interested in Vireio, valuable information is quickly lost with up-votes, down-votes, and the next hot topic. This slows us down.